Jerry Angelo is a former personnel director for the Bucs and former general manager of the Bears. Each week, Angelo answers your questions regarding the NFL. Send your questions to GarySheltonsports@gmail.com with "ask the expert'' in the subject line. The most interesting questions will be selected. 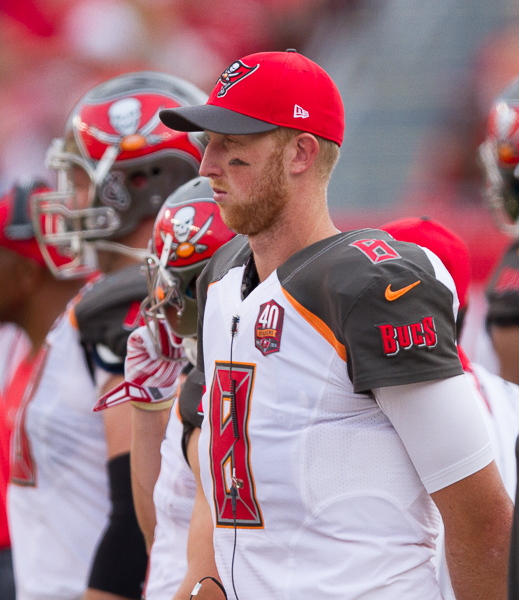 The Bucs reportedly offered to make Mike Glennon the highest paid backup in the league, and the Jets and Bears are interested. Why all the regard for a backup quarterback who has won five games in his life, only one of them in the last three years? His value to teams is what he does, not what he’s done. Every team wants a quality back-up at QB. It makes sense, but the problem is how much can I pay him? If you’re paying your starter an exorbitant bent amount of money, then how much can you pay the back-up? Teams without a proven starter can pay more, because they aren’t paying their starter big money. with, but you have to have a lot in place on offense to do it. Alabama star linebacker Reuben Foster was sent home from the Combine for a verbal altercation with a hospital worker. How much of a flag will that raise as teams get ready for his pro day? It’s certainly a concern, but you’d have to know all the circumstances and his side of the story. Foster is a good kid, well-liked and respected by his coaches and teammates. It’s unfortunate, but I don’t think this incident is going to keep a team from drafting him if he’s their targeted player. If you were a g.m., would you be more interested in DeSean Jackson, Alshon Jeffrey or Terrell Pryor as a player? I’d look at Pryor. You can get him for less money and he is still developing, where the other two are at their ceilings and are not elite receivers. If they were, they wouldn’t be out in the marketplace. They are very good and a good fit in the right situation. Pryor accomplished a lot in short period of time with a poor team and no quarterback or offense to speak of. He also is still learning the position, making the switch to receiver a short while ago. I like his size and athleticism. He has ability to run after the catch and he can be your back-up or third quarterback on game day. Versatility is a big selling point for all players. If you were a g.m., would you be more interested in Adrian Peterson, Eddie Lacy or Latavius Murray as a free agent? They’re all good complimentary backs. Again, the thing you have to determine to justify signing them is the number of snaps they are going to have on Sunday. They don’t offer much of anything on special teams, which obviously can minimize their value to teams, who count on their back-ups for special teams. They have to have a defined role. one agreed upon by the coaches before signing him. To me, it’s a matter of flavors. I would put a cap on how much we’d pay them and the one who is first to take the deal is the guy I’d sign. There would be little negotiation. Take it or leave it. Next!!! Arian Foster insists he could survive a one-on-one encounter with a wolf because “I’ve got thumbs.” On the other hand, the wolf has teeth. On whom are you betting? Wow, I didn’t know the University of Tennessee offered an outdoor degree in wolf-hunting. To me, for anyone to think he can take on a wolf because he has thumbs must have feet for brains. Unless \, of course, he had that special degree from UT where you wear a raccoon hat as your on stage to get your degree. I know Bill Polian is in the NFL Hall of Fame, but it sounds fishy when he insists he had a first-round grade on Tom Brady, then didn’t even pick him in the sixth round that year. The Colts certainly needed a backup quarterback. So is some embellishment going on? I don’t know. Really, it doesn’t make sense to me, but if Bill said he had a first-round grade on him, then who are we to argue? He must have gotten out voted on that one! Myles Garrett may be the No. 1 pick in the upcoming draft, but in SEC games, he had 12 sacks in three seasons. Is that a red flag for you? That would be little concerning not to have any more than that. It would have me doing more homework on the sacks he had out of conference. The level of competition is important, but not necessarily the bottom line. But in this case I would want to know why. In the end I go more by what I see on tape than a workout. It looks like the Raiders may be headed for Las Vegas. Should they change their nickname to the High Rollers? The Bugsy Segals? The Godfathers? I love the Godfathers. Maybe they can call their head coach the "Don." It’s got a nice ring to it…Don Del Rio. I like the Bugsy Segals, maybe we can call their cheer leaders the Bunny Segals. Of course, the High Rollers would be in honor of all the fans that pay to see them. They’re going to have to be high rollers once they finish building their brand new billion-dollar-plus stadium. Previous post: Who would you pick if you were Jackson?